Increase MRR (Monthly Recurring Revenue). Lower CAC (Customer Acquisition Cost). Increase CLV (Customer Lifetime Value). SaaS companies will jump to make any one of those things occur, but all three…yes! Welcome to the happy consequences of Expansion MRR. Expansion MRR is an increase in Monthly Recurring Revenue created when existing paying customers upgrade or increase add-ons/extras. Neil Patel refers to it as the SaaS Holy Grail. 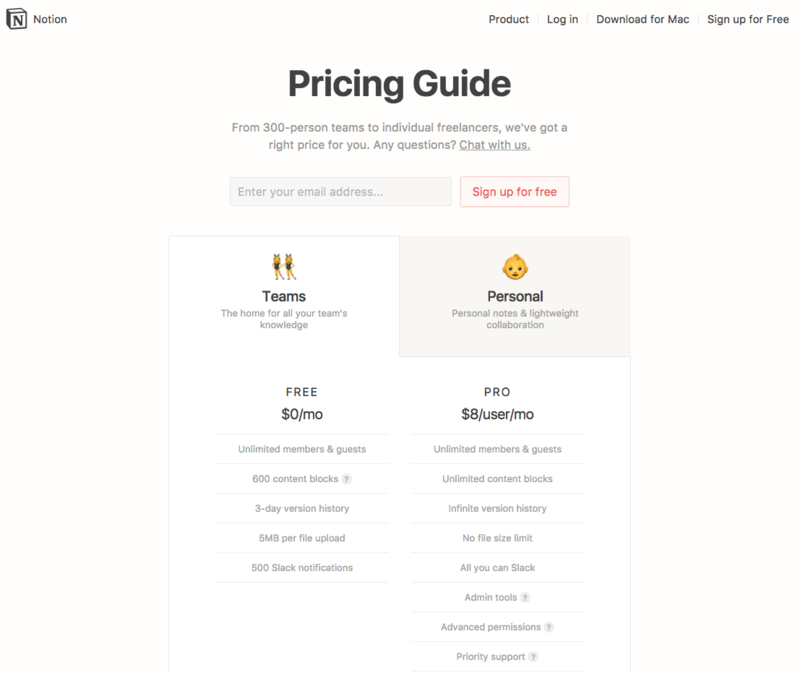 There are a number of ways to increase Expansion MRR, but today we’re focusing on pricing. 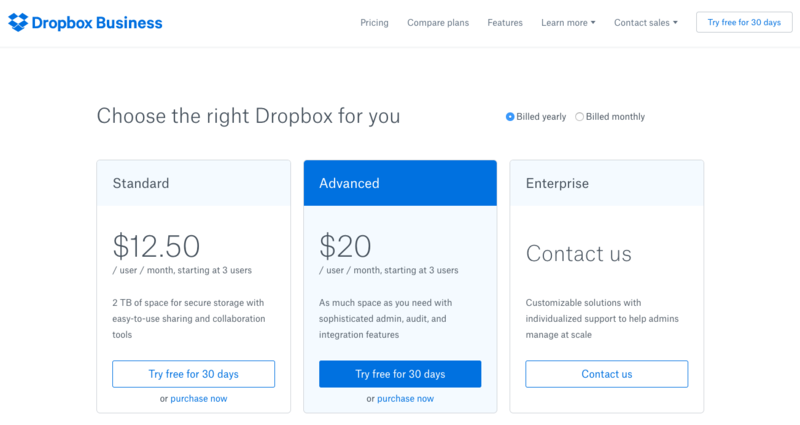 Specifically, the ways you can structure your SaaS pricing plans that help “future proof” your company for optimal growth through Expansion MRR. “While there’s not a specific benchmark for Expansion MRR Rate, it’s good practice to aim for increasing it to exceed gross churn rate,” writes Geckoboard. He follows the model to explain that by the end of 5 years, the Expansion MRR would be contributing approximately $180,000 every month. “Clearly getting to negative churn is one of the most powerful accelerators for growth,” writes Skok. At its heart, value based pricing encourages SaaS companies to view their pricing strategy as a product of the value they provide. Instead of fixating on cost-cutting to improve profit, companies focus on improving the service and value they provide, using extensive research to understand how customers actually value a product. Once a customer is fully engaged with your product and understands the value, they are more likely to upgrade for advanced features and functionality. When you’re looking at structuring plans that help future proof your SaaS for increased Expansion MRR, utilizing feature and value based pricing means you understand the value of specific product features to your customers. 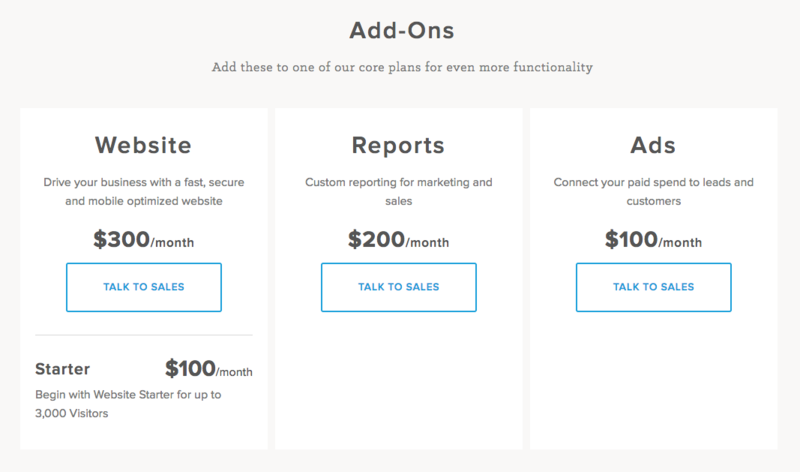 Structure your pricing tiers to include more advanced features on higher tiered plans. Don’t get us wrong, there will always be core features of a SaaS product available to all paying customers. From your research, you’ll also know which features have a higher value to customers and you can entice customers on an upgrade path with those features. Note: If you’re not already doing customer research, read Beyond NPS & Exit Surveys: What you should be asking prospects and customers. “You want to upsell to a customer at a time when they have a need for your additional features – a time when upgrading makes sense to them. The best upselling opportunity is when your customer reaches a defined success milestone that has a logical opportunity for expansion related to it,” explains Emily Smith. In SaaS upsells, it’s all about the value. If the customer can see the value of the upsell compared to his or her current subscription or purchase level, then they will understand why they need to buy. 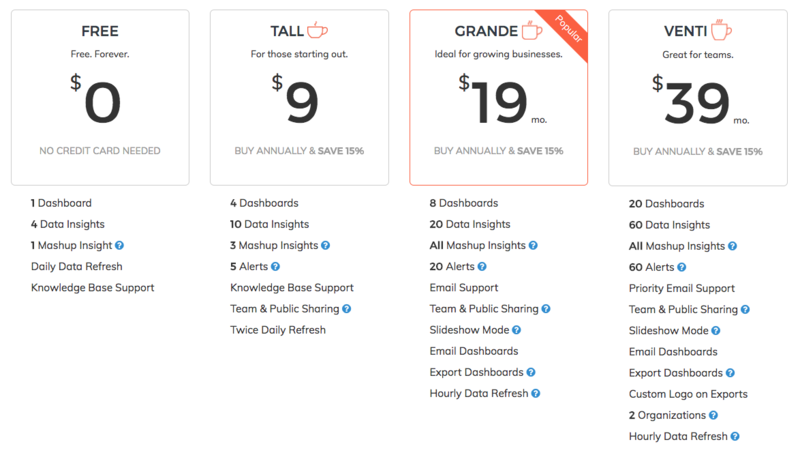 Creating more highly featured versions of your product creates upsell opportunities. It also allows smaller customers a feasible entry point, with the option to scale to more advanced feature sets as they grow. 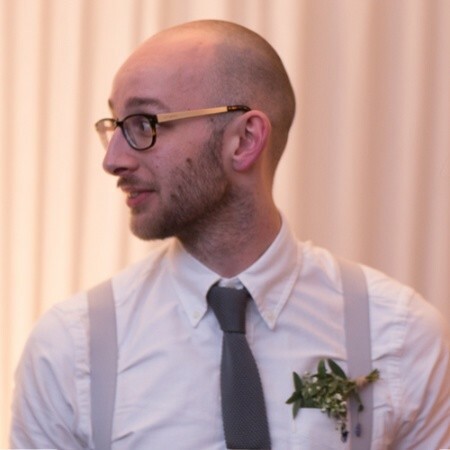 A great example is Shopify’s plan structure that starts with “Shopify Basic” and includes “all the basics for starting a new business.” It is a solid entry point to get a customer started and provides plenty of value to create stickiness. 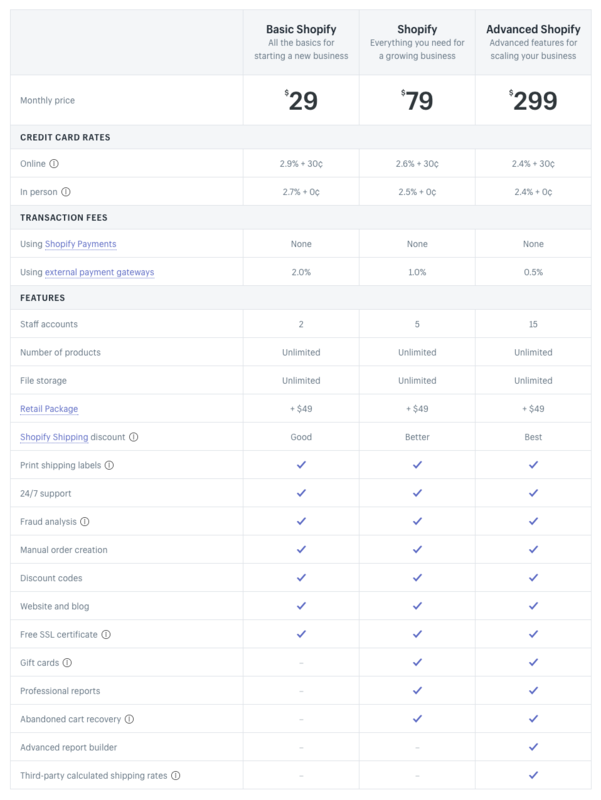 With Shopify, once customers get up-and-running and start growing their business, the upgrade path adds better shipping rates, gift card support, professional reports, and cart abandonment recovery tools—all value added benefits that make the upgrade decision an easy one. 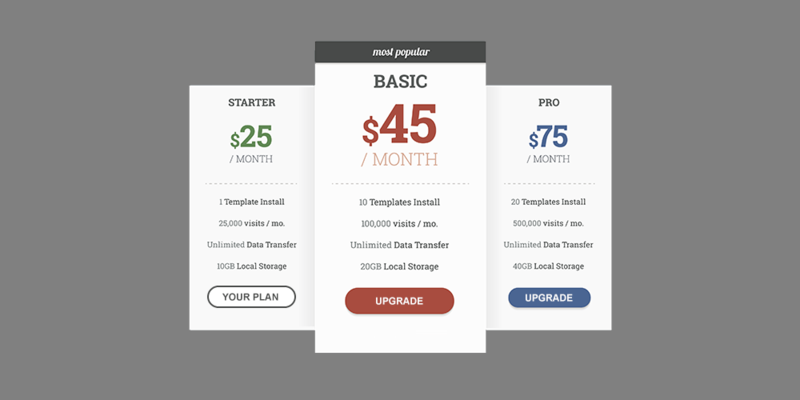 It is very common for pricing tiers to include a combination of more advanced features (as discussed above) and usage-based limitations such as the number of users, mailboxes, insights, alerts, uploads, etc. available in each plan. With fixed-price usage restricted tiers, many companies include feature differentiators, but primarily focus their upgrade path on usage restrictions. The balance of how much emphasis is placed on features vs. usage/consumption will vary from business to business, but it is important to think about how customers will use your product throughout the various stages of adoption and growth. In the Dasheroo example below, the main plan differentiators are based on the number of dashboards, insights, mashups, and alerts. 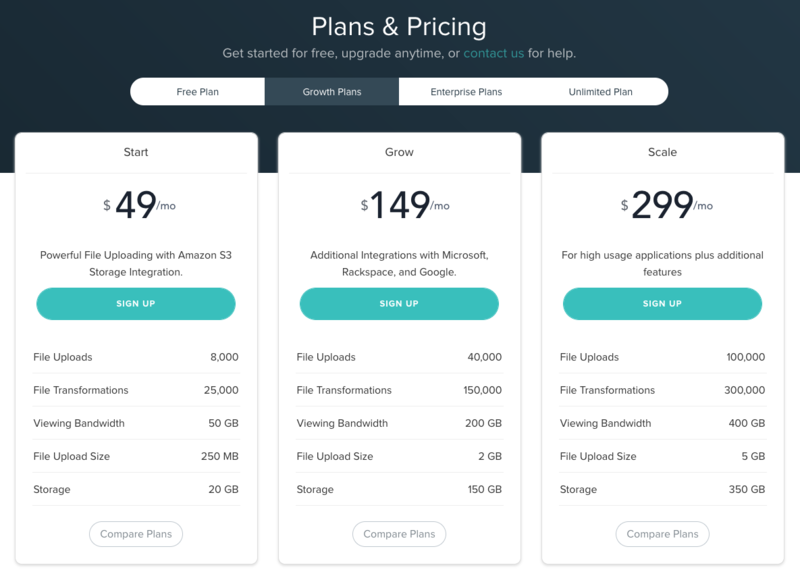 Similarly, Filestack differentiates their plans based on the number of file uploads, transformations, viewing bandwidth, upload size, and storage. In both of these example, there are some feature differentiators but the upgrade path is primarily based on usage limitations. As their customers’ consumption needs grow, so will their Expansion MRR as customers advance to higher tiers. In the aforementioned sections, the upgrade paths mostly include a mix of features and usage restrictions lumped together in different tiers. So a business may need to upgrade for more dashboards (usage-based) but get team sharing (feature-based) as a byproduct. Vice versa, a business may upgrade for a feature that also removes usage limitations. These groupings can lead to missed Expansion MRR opportunity down the road. Autopilot’s sentiment in that last sentence is an important one. Expansion MRR can’t occur without retention, and “handicapped plans” often don’t provide the value needed to retain customers. Remember, happy, paying customers make ideal upsell candidates (we discussed this point in our post SaaS Customer Success: The secret to reducing churn and increasing MRR). Once isolated teams are committed to using your product, it is mission critical for Expansion MRR that you promote ways to spread adoption throughout other cross functional teams within an organization. 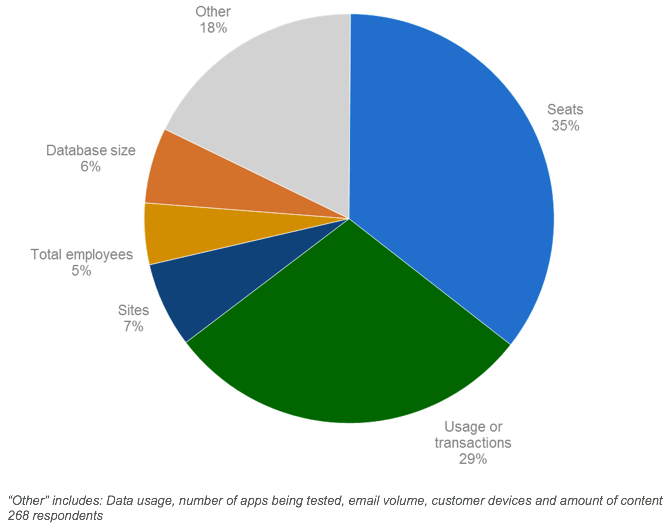 The more users added, the more Expansion MRR achieved! Finally, when structuring your pricing plans with customer expansion paths in mind, consider the value add of relevant add-ons and extras. Our focus in this post is increasing Expansion MRR, so the additions we’re talking about are recurring (not one-time add-ons). 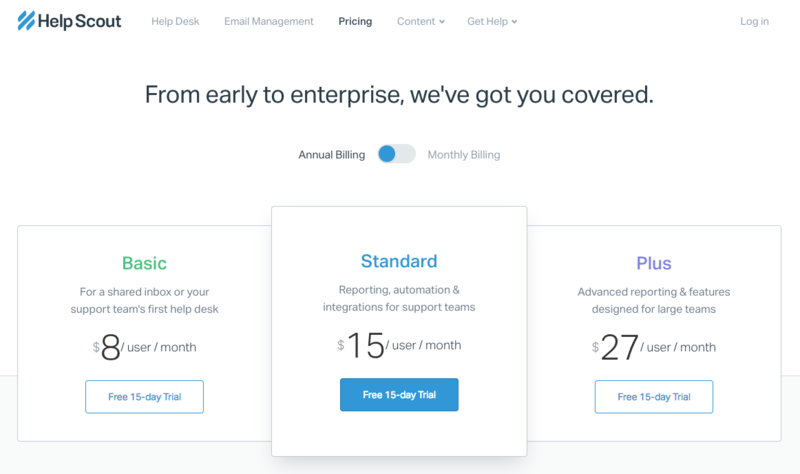 Premium support, continuing education/customer success, and integrations are also common SaaS add-ons. Add-ons often have a narrower appeal but high value, which is a nice expansion path for customers that want or need the extras. 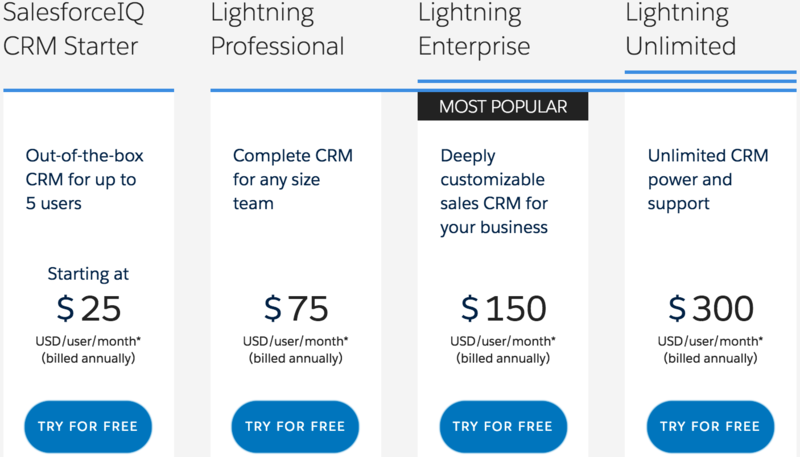 There are many considerations to take into account when determining the best pricing models for your SaaS business. Plans must provide enough value to generate happy, paying customers, while your upgrade paths must be structured in a way that aligns with customers’ growing needs. 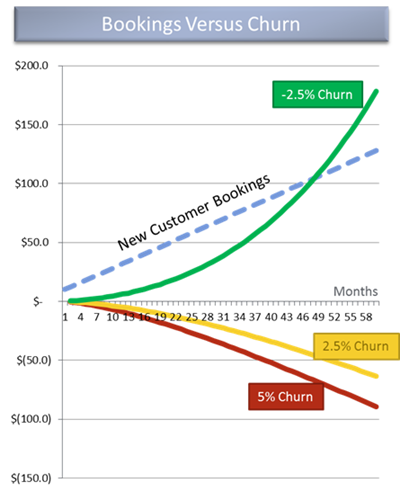 Remember, when your Expansion MRR is greater than your gross churn you’ve achieved the SaaS dream: negative churn. The value of your existing customer base is growing without factoring in any new business. It’s important to note that experimenting with your pricing models takes time and often includes more complicated product configurations. Chargify was built to remove the complexity around creating, launching, and testing product configurations, all of which allow subscription-based businesses to move faster and grow quicker. Give our Sales or Support teams a call at 1.800.401.2414 to learn more, or sign up for a trial to test drive Chargify for free.